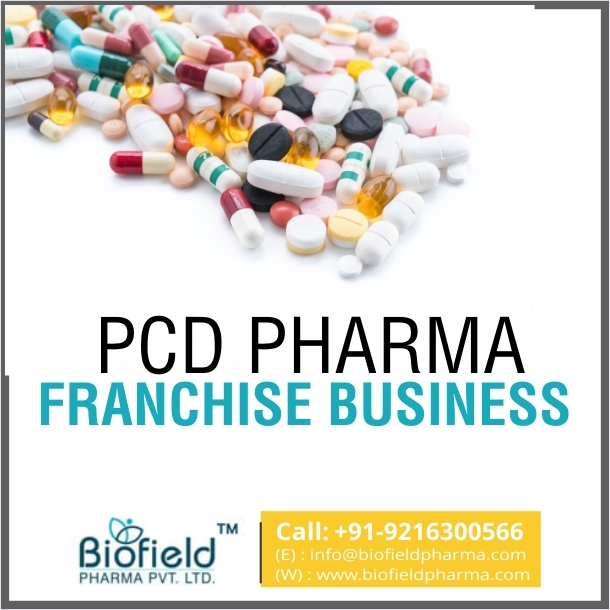 PCD Pharma Franchise in Haryana – Biofield Pharma welcomes people from across Haryana who are looking for pharma franchise at genuine plans. We are a top pharma franchise company that offers pharma marketing services across India. Our company is an ISO certified pharma company that invites people for PCD pharma franchise in Haryana covering locations like Ambala, Karnal, Gurgaon, Rohtak, Hisar, and Faridabad. You will get some of the widest range of DCGI approved the drug for business purpose covering medicines like antibiotics, analgesics, multivitamins, anti-viral, anti-infectives, local anesthesia etc. These cover a different market that is offered for PCD franchise business with a promise of good growth opportunities. Haryana shares close proximity to India’s hub Baddi and a massive population to add to the growing demand for medicines. This is a good business destination for all those who look for a good business in this industry. PCD pharma franchise in Haryana brings you a good opportunity to showcase your salesman spirit and set up your own business. Biofield Pharma is a trustable name in the market for PCD franchise services with more than 250+ associates across India. You will be getting monopoly rights of business operation. More than 300+ drug medicines are offered covering a variety of tablets, capsules, soft gels, injectables, powders, drops, ointments etc. Reasonable pricing policies are adopted as the main aim of the business is to spread better quality medicines for all. You can directly have a conversation with our associates by simply calling us at +91-9216300566, +91-9216300166 or simply email your queries at info@biofieldpharma.com. All the information related to current vacancy in Haryana, PCD franchise deals in districts of Haryana, products list, and price list etc will be informed to you. We are the best in the market and assure you the same for future business collaboration. Our company has its own set of Schedule M units that follow good manufacturing practices. The best machines are installed to meet the efficient production. We aim at maximizing healthcare services. Therefore, we have adopted a genuine pricing policy. No compromise on quality is made by the company. For us, quality will always be the main priority. Our different logistic partners help make delivery fast and safe for all kinds of drug formulations, especially delicate ones. PCD franchise deals are available in the specialized division and therapeutic divisions. You will rejoice in a great variety here at most reasonable rates. Large warehousing systems across India that will help you meet your frequent demands. Why is Haryana a good Place for Starting Pharma PCD Franchise Business? The north Indian state Haryana is a good place to start a PCD franchise. It has some of the biggest pharma companies having their branches in close proximity sharing a good demand. Many companies have shown their interest here to build their own branches. The state has an impressive population rate which is proportional to growth in demand for medicines. Extensive propagation of medicinal and healthcare rights and facilities have helped raise the demand graph in recent few decades with people spending more on medicines to spend a healthy and disease-free life. The investment exposure of PCD franchise is quite genuine and affordable for everyone. The return rates are quite higher in this business. Therefore you enjoy good margin on sales. The expansion rate of this business is good. The skies are limitless here and you can extend hands in other markets of the pharmaceuticals industry and earn good profits. Haryana pharmaceuticals industry is growing at an attractive rate and this is a good chance to have your own PCD franchise business as these businesses are offered on a monopoly basis. All the locations are available and many have been applied. You can even book your seats for PCD franchise in your favorite location and have a happy business ahead. It is our promise for better tomorrow and scope in future. Contact now to know more about our franchise deals near you!